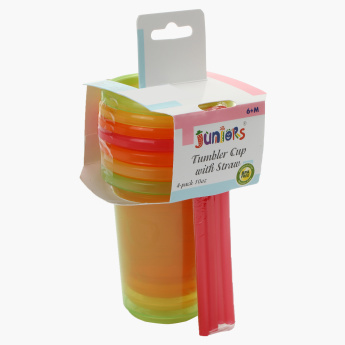 Juniors Disposable Tumbler Cup with Straw - Set of 4 | Multicolour | Ideal for travelling purpose . While carrying food for kids while outdoors, these tumblers are a perfect pick. They are specially designed for your little one with BPA free material. 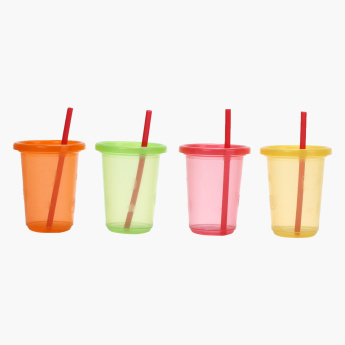 Each tumbler comes with a straw. 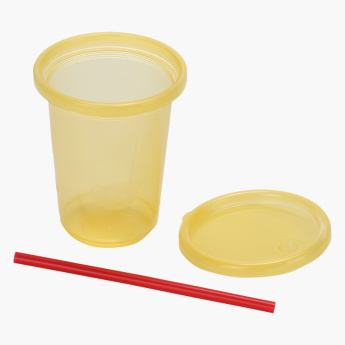 Feature 1 : Ideal for travelling purpose .